In the 1920’s the well known firm of J. P. Sauer & Sohn in Suhl entered the Typewriter market with a model called the “Fortuna”. 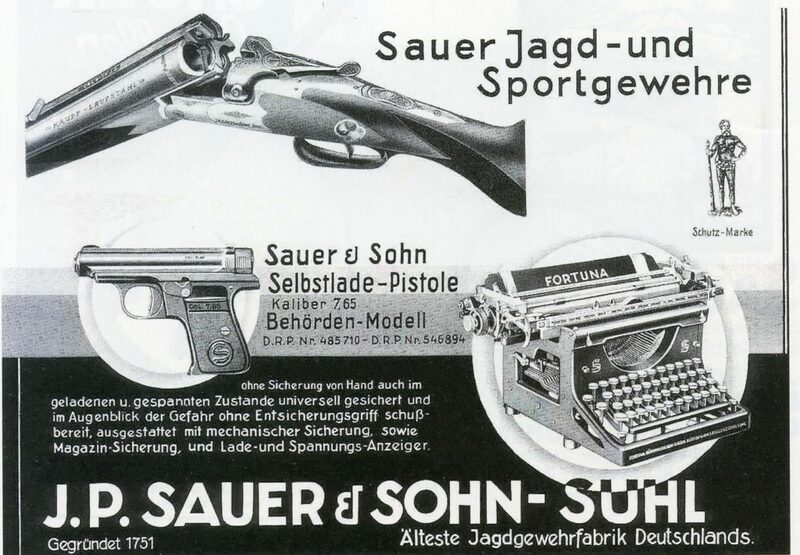 I believe that the name “Fortuna” was a registerd trademark for the Sauer Typewriter. 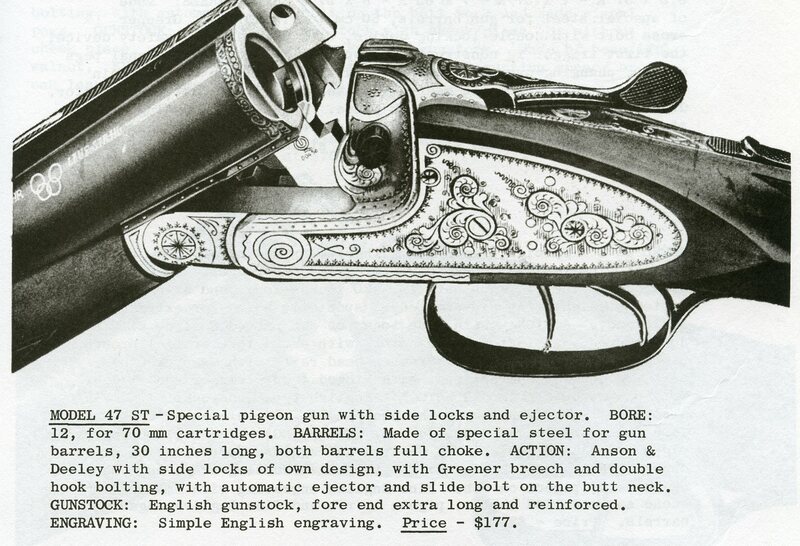 They did not produce a firearm with that name prior to the second World War. Some sources state that in 1948 the Fortuna Werke was founded on the remains of the Sauer facility and in 1951 VEB Fortuna was amalgamated with VEB Ernst Thalmann Werk. The Fortuna was made from 1946/1948 to at least 1975. 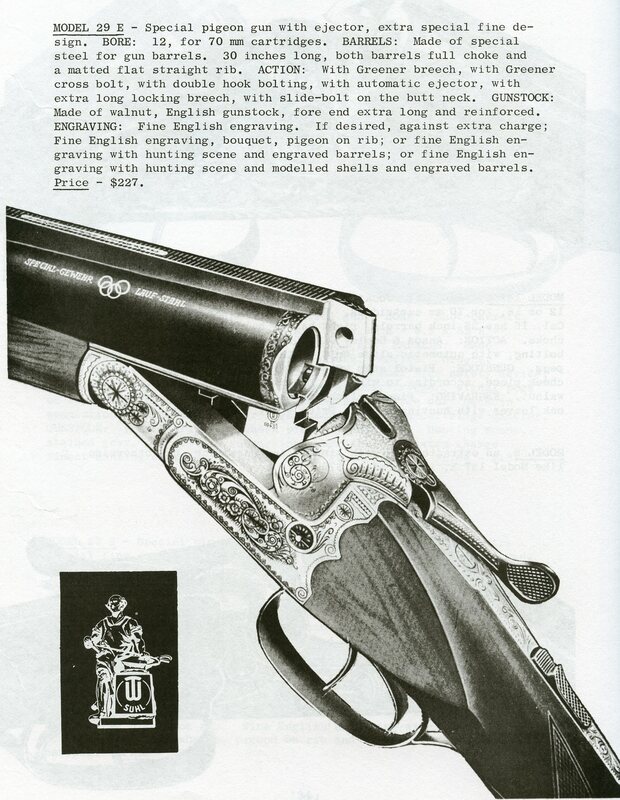 The 1965 edition of Buxton’s Guide to Foreign Firearms includes the following- “Fortuna Double Barrel Shotguns and Drillings are reported to be manufactured at the former Sauer plant in Suhl, East Germany which, with the Russian occupation, was deserted by the Sauer managers who fled into West Germany to re-establish production at Echernforde. Fortuna guns are now manufactured by VEB Ernst Thalmann Werk, a people’s factory, while their sales are handled by Deutscher Innen & Aussenhandel. 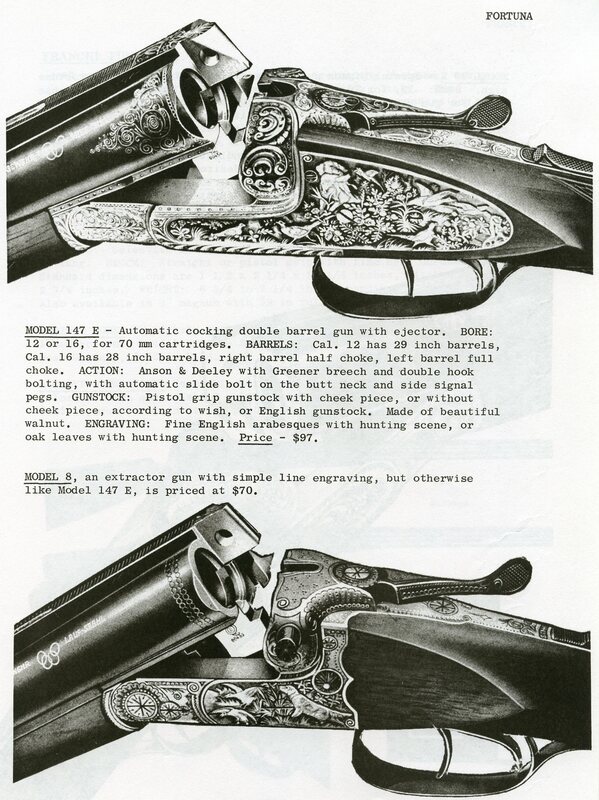 as comented on in our coverage of BUHAG guns. Prices qouted here are wholesale, FOB East German port. 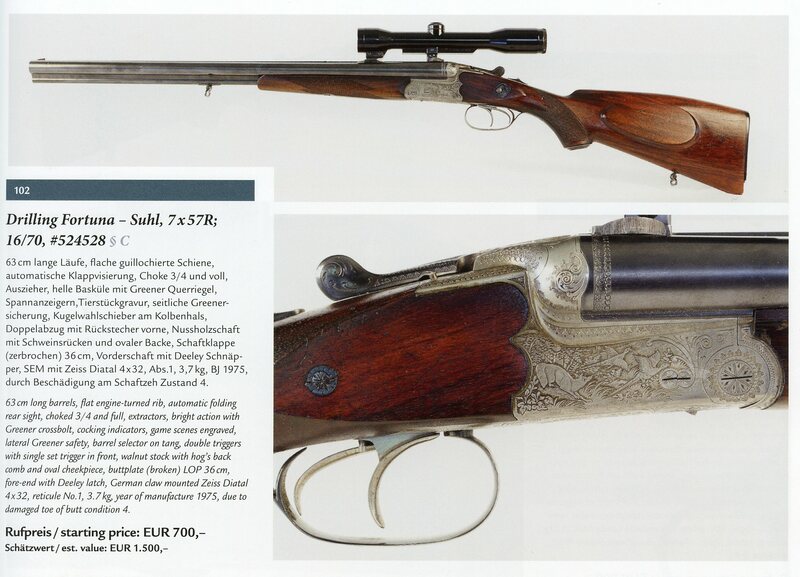 “Hunting Guns from Suhl” is a name which enjoys world wide renown. The occupation of the gunsmith has an old tradition, which due to the continual development has attained a high level. Modern methods of manufacture– the most exact testing of the material, in turn guarentee a faultless function, at the same time making easy the hand work of the gunsmith on the individual pieces. Today, the endeavour of the people’s owned works of Ernst Thalmann, is also the same as it was generations ago, that is, to manufacture the well known hunting guns so that they meet even the highest claims of the hunting and sporting riflemen. In this way, we wish our customers the very best of luck and success in hunting with our models– and in conclusion we greet you with “Good Sport”. (Source- Fortuna Catalog). 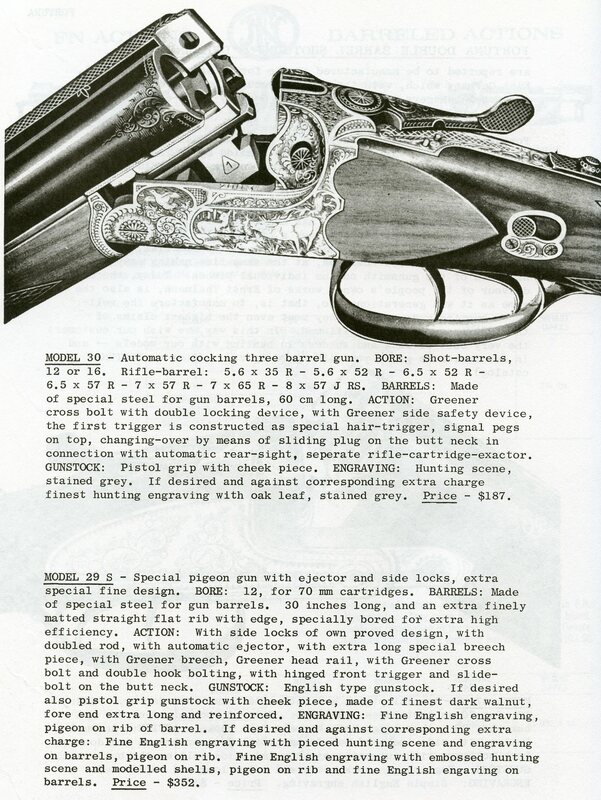 Qouted from Buxtons Guide to Foreign Firearms. 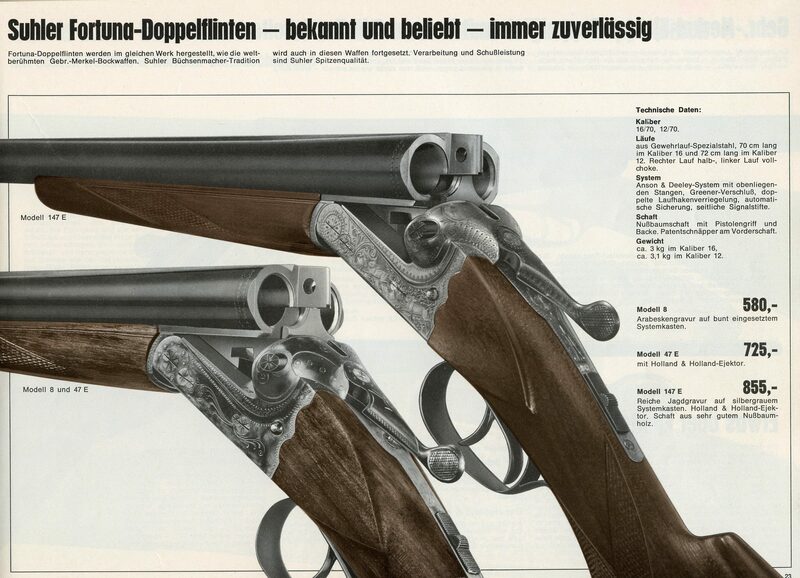 Click Here to go to the Ernst Thalmann page to view the Simson, Merkel and Sauer guns which are practically the same. The following illustrations are from Buxton’s Guide.